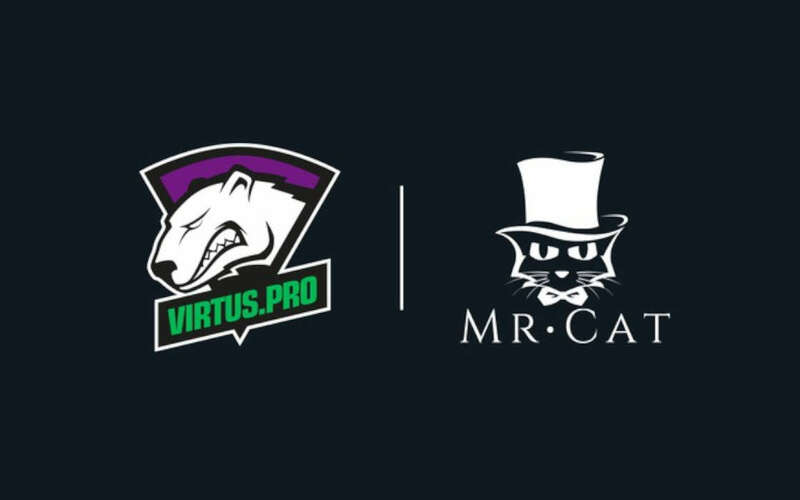 Russia’s esports powerhouse, Virtus.pro has teamed up with Chinese events hosting company Mr. Cat. The partnership will extend to Virtus.pro’s jerseys, social media and official website where Mr. Cat’s logo will be displayed. Virtus.pro, an esports powerhouse hailing from Russia, has expanded its partnership with Mr. Cat, a Chinese esports host, dedicated and supporting competitive play across Dota 2 and Counter-Strike. Mr. Cat proved their professionalism time and time again over the course of our more than two-year partnership. We are excited to have reached a new stage in our relationship. We are proud to be able to name Mr. Cat our general partner. Mr. Dvoryankin hinted at future Asian expansion with the Mr. Cat back in April, 2018. As a result of the renewed deal, Virtus.pro will display Mr. Cat’s logo across multiple channels, including players’ jerseys, social media, and the team’s official website. The pair will also work on promotional campaigns in future. Mr. Cat CEO Garry Chen has expressed his appreciation for the long way that his company and Virtus.pro have walked together. “Since 2017, Virtus.pro and Mr. Cat have been writing a remarkable story together, and we are very excited for what the future has in store for us. “Through the sponsorship renewal, we couldn’t be happier and prouder to announce our general sponsor, imprinting our name, Mr. Cat with one of the greatest esports clubs, Virtus.pro. We will bring a more exceptional experience for our members in the heart and spirit of Virtus.pro,” Mr. Chen added. Building on their existing partnership dating back to 2017, Mr. Cat’s demonstrated a flair for understanding the needs of professional and recreational gamers, having achieved significant success since the company was founded in 2016. Mr. Cat has backed numerous tournaments across North America, Europe, and China, sponsoring Dota 2 and CS:GO events hosted under the same brand. Mr Cat’s current sponsorship deals include VICI Gaming and Thunder. Russian esports powerhouse Virtus.pro and esports events organizer Mr. Cat have agreed to expand on their existing 2017 partnership. As a result, Mr. Cat's logo will be featured across VP's infrastructure. Rachael explores the social aspect of the industry following topics such as the involvement of women in the industry, the phenomenon of esports betting, and the social responsibilities inherent to it. She loves statistics and numbers are her passion, so her readers can expect a lot of research backing her texts. Rachael always discovers an alternative esports topic to write about and that makes her an important part of Esports Wizard’s own team.